They Can Even Save You Money On Your Heating And Cooling Bills. 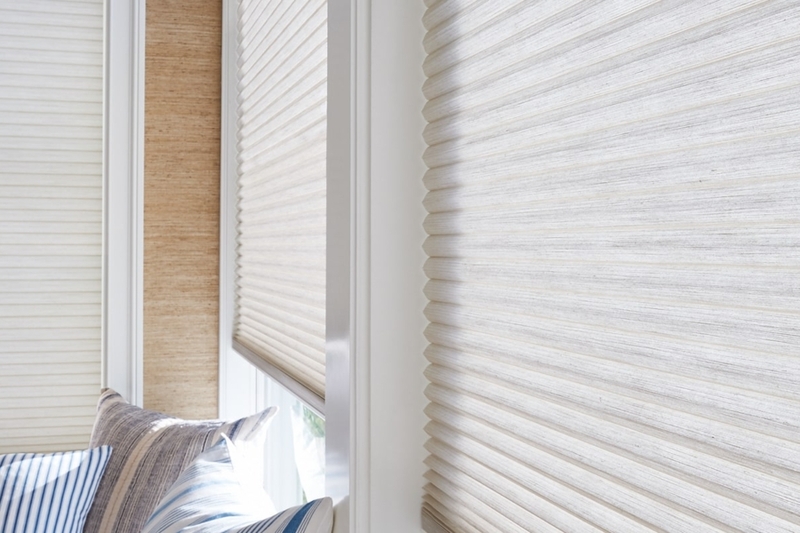 Cellular shades, also known as honeycomb shades, offer beauty and style for just about any window. They are called honeycomb shades because each cell is a hexagon just like the cells in a honeycomb. This is an important aspect of this type of window shade because this attribute can help insulate your windows. The honeycomb hexagons of a cellular shade traps a layer of air inside the shade. This layer of air inside these cells provide an insulating value to your windows. That means it can prevent heat gain in the summer months as well as heat loss during the winter. The R value for a 3/8 inch cellular shade is 4. That is the equivalent to having argon gas between two window panes. For you it means potential savings on your energy bills. 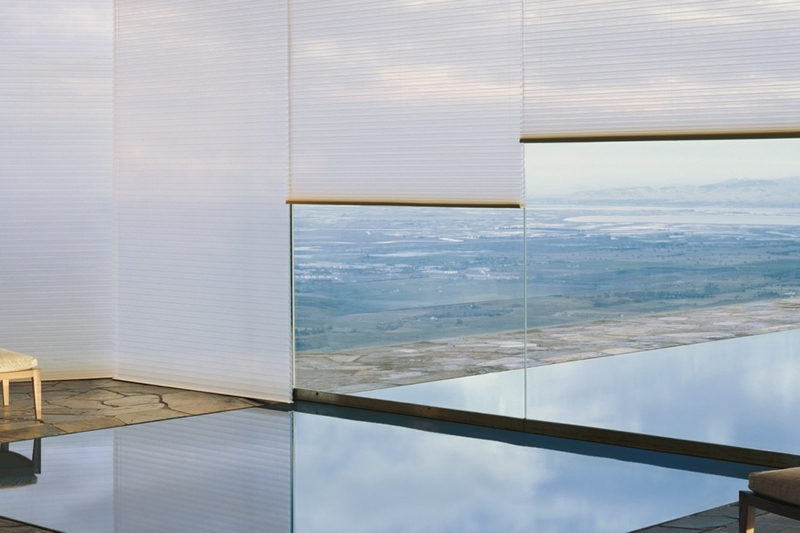 Cellular shades are also quite versatile. You can use them wherever you have a South or West facing window due to their Insulative qualities. At the same time, because of the level of privacy and room darkening capability they provide, they are also a great blind to consider for bedrooms or wherever else you want additional privacy. Plus you have several control and size options. You can go cordless, top down and bottom up as well as power. you can have cell sizes of 3/8 and 3/4 inches for single cell blinds and 3/4 to one and one half inches for double celled shades. One of the best features of of cell shades is the fact the fabric widths are quite wide. That means you can fill large windows without a seam or the need for additional rails in most cases. 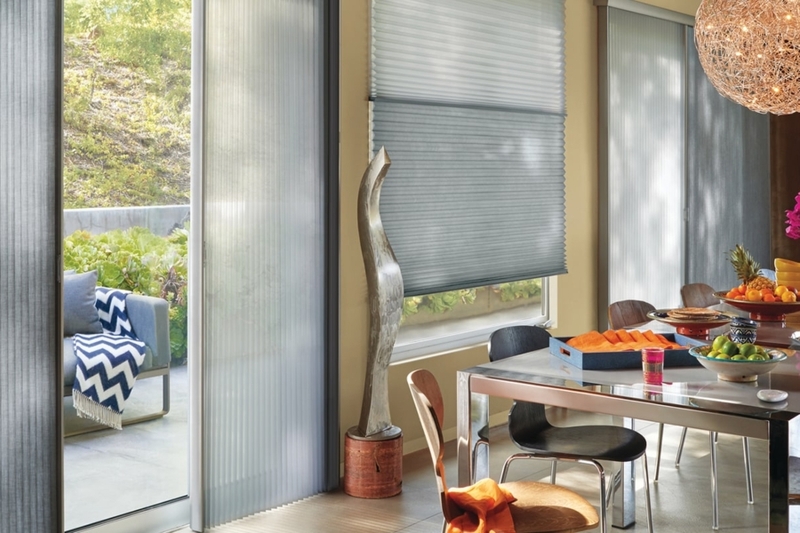 Duette shades are available in an expansive range of pleat sizes, fabrics, colors, opacities and textures. Innovative operating system design options such as Top-Down/Bottom-Up and Duette Duolite™ make these shades a top choice for any window, skylight or even specialty window shapes like arches, sidelights and circles. 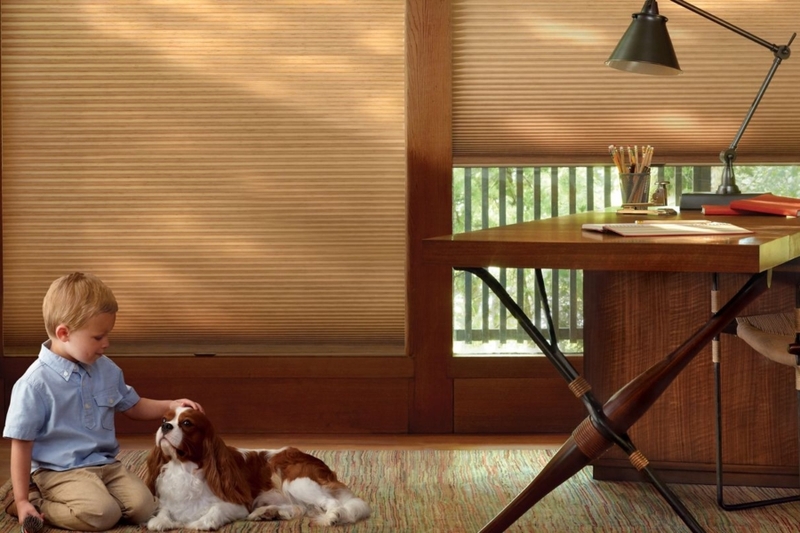 Cellular shades are a great choice wherever you need style, versatility, and added insulation for your windows. For more information about honeycomb shades, and to book you free no obligation in home consultation with our interior design experts, call Evco Interiors at 775-322-8833 or click the “contact” button bellow and someone will get back to you ASAP.